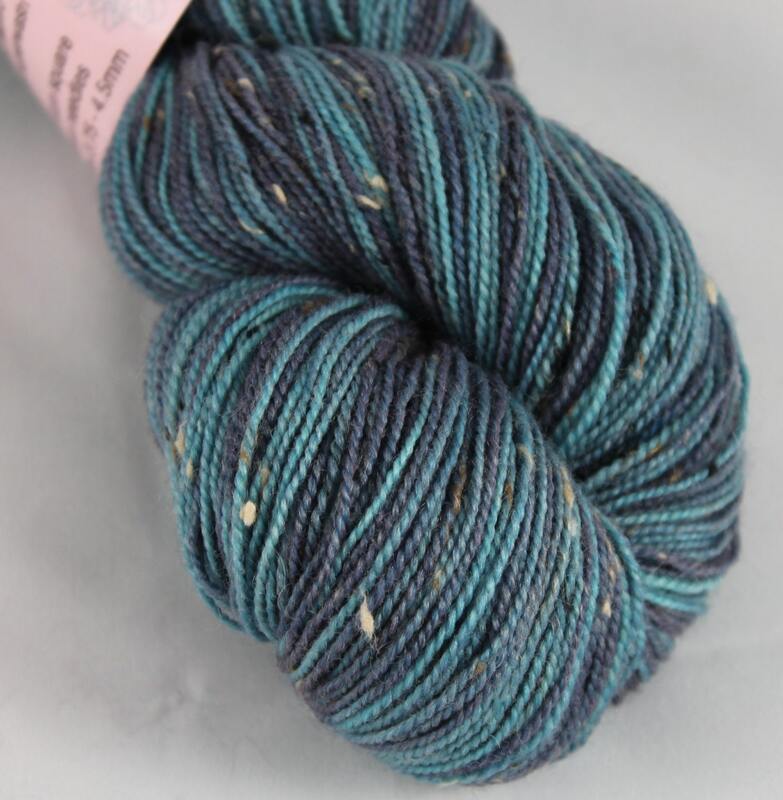 I have found this wonderful yarn and have been testing it with dye and knitting. 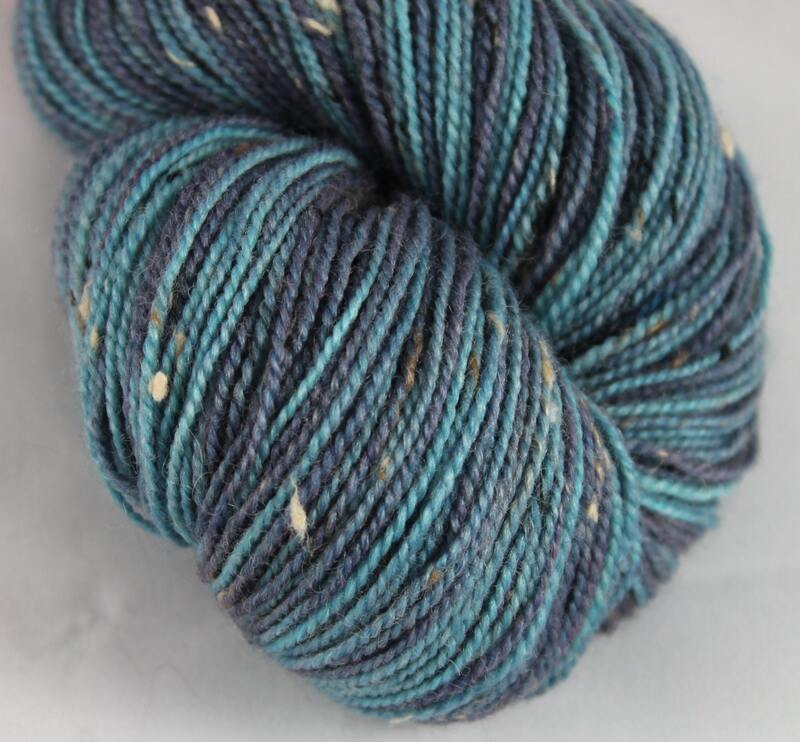 I have hand painted this skein in a range of blues from navy to a light slate using exhaust technique I have developed which means the colour graduation is subtle. This yarn I have found to be great for socks but I have also made wraps and neck warmers. It is tough and hardwearing but easy to care for and use. 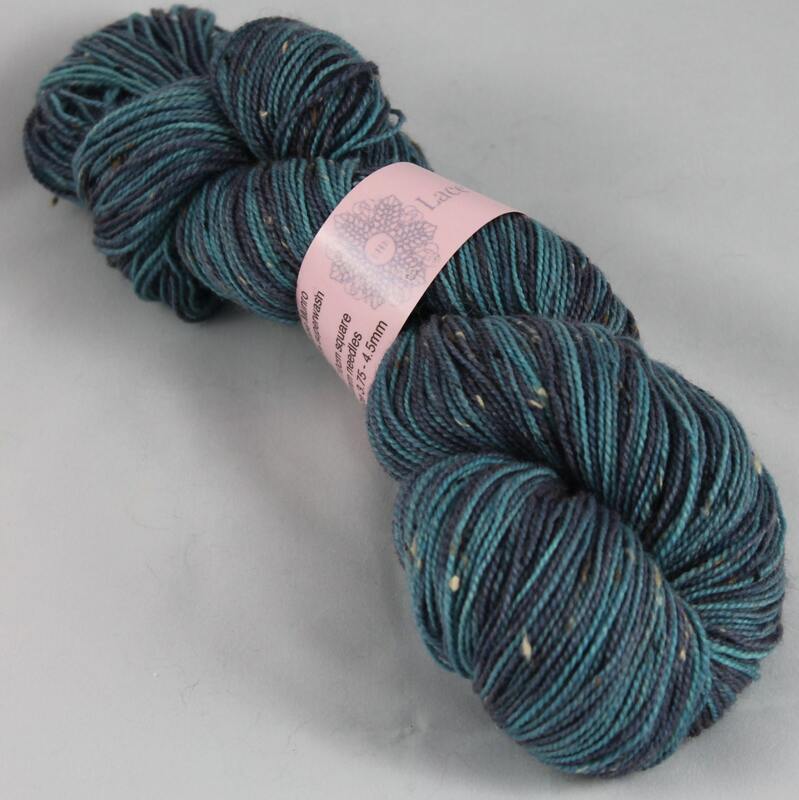 DK, each skein 100g/212m, 85% super wash merino 15% Donegal nep.